BBC Book Of The Week Author coming to Husthwaite. 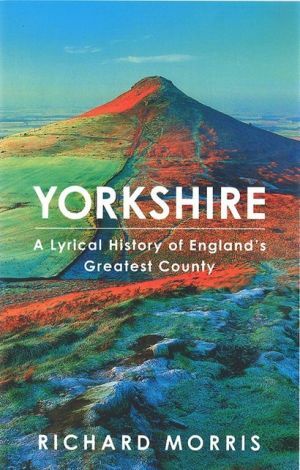 "Writing Yorkshire - a Lyrical history of England's Greatest County"
We heard about this amazing book when BBC Radio 4 broadcast it in early 2018 soon after it was published. Richard Morris (Professor of Archaeology at Huddersfield University) wrote it. He began his career digging under York Minster (the surprising story of what they found is in the book). He wanted to bring the making of Yorkshire alive, from prehistory, through Viking trading routes to the Cold War. He touches on people who came from the county or loved it as outsiders; painter J M W Turner, Amy Johnson the pioneer aviator and authors Winifred Holtby and JB Priestley amongst many. It's about myth and legend, conflict and faith, scientific advancement, boom and bust. He goes all over the county, goes backwards and forwards in time and weaves in the fascinating history of bits of his own family. So, he's coming to Husthwaite Village Hall on Sunday afternoon, 2.00 - 4.00 18th November 2018,.......to talk about writing the book, how he decided what to include and what he has found out since "Yorkshire" was published. The title is "Writing Yorkshire".